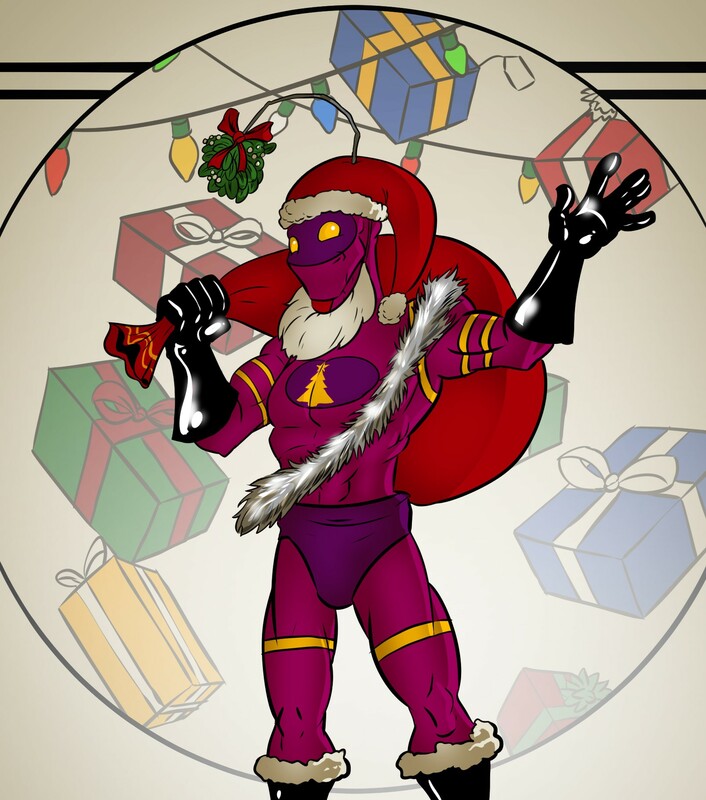 Happy Holidays from Sentinel Comics to all! We have a bunch of great questions today, so after only a few minutes of holiday lies, we get into those questions! And within those questions, we tell a few holiday tales. Enjoy! At the end of the episode, we finally reveal the schedule for January of 2019! Tuesday, January 1st: No episode! It's time for the Letters Page Listeners' Choice Awards nominations announcement! We have a special guest for this episode, and he makes the show even better! We spend the first portion of this recording discussing the recently announced awards. Once you've listened to all of that - including the most excellent question nominations - it's time to vote on your favorites! Check out the voting form here. And then, after all of those things, we finally get to your questions with the help of our special guest! We start in on the questions at just after the 44 minute mark. Only one episode left this year, folks! Join us next week for some holiday cheer! 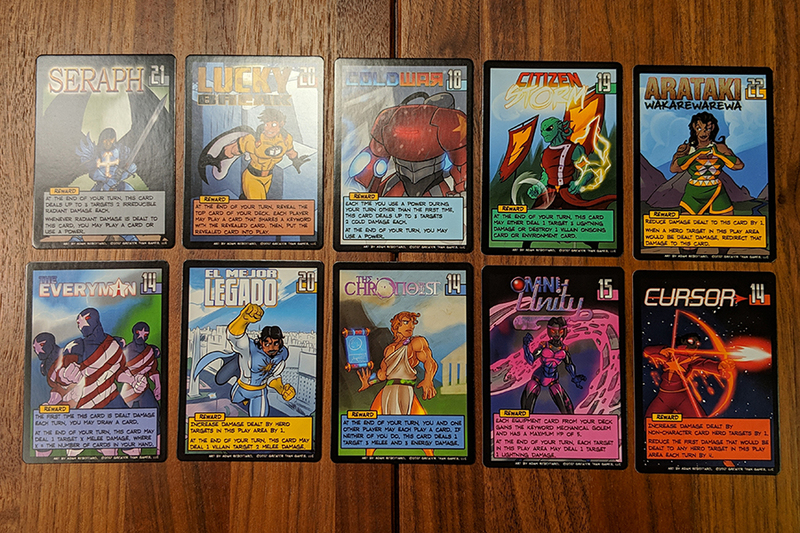 Let's talk about all the heroes from the OblivAeon Mission Deck! Only a few minutes of goofs and gags before we get to a brief overview! Then, just after the 4 minute mark, we're right on to your insightful and exhaustive questions! The first question goes through ALL of the mission deck heroes, so that takes up the bulk of the episode. The question after that asks about the Be The Gate heroes, who cross over a little with the Mission Deck, but not entirely! Still, fair game. We will be recording this month's Editor's Note live on Friday, December 14th, and we'll be going over your nominations for the Letters Page Awards then! If you want to be a part of that recording, check out our Patreon! From morally grey to just straight-up evil - what could go wrong?! After the usual goofing around at the beginning, in a shocking change of pace, we bring back the Overview! There, we do some setting explanation to help place what's going on here, both in the world - or Multiverse, rather - of Sentinel Comics and in the metaverse, as well. We also talk about both Rook Cities. Two? Yes, two. But more about one than the other. Then, we get to your questions right after the 12 minute mark. And, as has been the case with some recent episodes, we let the story happen bit by bit in the answers to your questions! Good questions, everyone. Right after the 1 hour and 2 minute mark, Christopher's voice changes to a much more gravelly version. Here's a peek behind the curtain: we lost about 10 minutes of audio from the original recording of this episode. Something weird happened and it was gone. Fortunately, we had very good notes, and as soon as we got back from PAX Unplugged, Christopher and Adam re-recorded that section, and we're actually way happier with the way it turned out this time. Honestly, if we could just re-record every episode 3-5 times before putting the audio live, they'd be even better... but that's ridiculous. Anyway! Christopher's voice was pretty wrecked from the convention, as per usual, but you only have to hear it sounding so rough until around the 1 hour and 13 minute mark. Thanks for listening, everyone! As ever, check out our Patreon for even more stuff!